Facebook is like that best friend that you had in high school, the one that was constantly going through phases. Your friend was always there for you, helped you out, and supplied you with hours upon hours of entertainment, but you just never knew which version of Kevin was going to walk through that door. Would it be Goth Kevin? Yoga Kevin? Fitness Kevin? Same great guy, but small little changes each time. That, my friends, to me, is Facebook. It seems every few months new changes come through that make marketing people like me have to readjust. It's the same platform with the same features, but just with small pesky little nuances. The most difficult adjustment with Facebook is its algorithm changes. What a lot of people don't realize is that Facebook's algorithm is dependent upon your fans' interactions. Therefore, if you have 5,000 fans and publish a post, but no one comments, likes, or shares that post, a very small fraction of your fans will see it. Conversely, the more people who comment and engage, the more visibility it receives. The fix could be easy enough – just make your stuff engaging, right? Yes, absolutely! However, sometimes you will ask for engagement or expect it, but fans just won't bite. So, sometimes you just need that extra boost, and that's where Facebook's advertising system comes in. With Facebook ads, you can ensure that your posts get to your fans, their friends, and even new potential fans who don't like your page (yet). 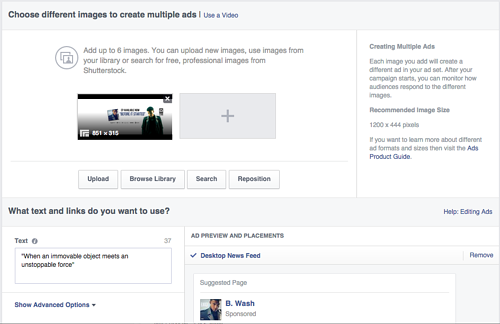 First, go to "ad manager" on your Facebook homepage, and click "create ad." Then you're asked to "choose your objective." There are about 10 options here, but since this article is geared towards us musicians, we're going to look at objectives that you'll likely use for your work. (For instance, "promote your app" or "claim your offer" may not be relevant to you.) Here's a breakdown of your most used objectives. This is the most common objective for artists. This simply gets your Facebook page in front of new potential fans. You're able to target all ads, and this is great as you can promote your page to people who like similar artists to you and any other relevant demographic info. Just as it says, this objective is used for that upcoming show that you want to give an extra boost. I'll be the first to admit there are some issues with Facebook's event feature – the first being that it's oversaturated. I think we all get invites from that friend across the country who knows quite well we can't trek across the US for his DJ set. The second issue, which I assume is due to the above spam problem, is that Facebook recently took away the option to invite your fans to an event directly from your fan page. You used to be able to click a button and auto-invite every single fan who "liked" your page on Facebook to your show, but not any longer. You can still post it on your Facebook fan page wall and entice your fans to join, and you can directly invite your friends on your personal page, which is fine, but it certainly is a bit more difficult than before. The good thing about this ad is that it places your event in front of people in that area, whether they like your page or not. That means you can likely get them to join the event and introduce them to your work, all because they see that a pretty awesome band is coming to town. Hey, that sounds straightforward, right? Well, you can do much more than just your website. Along with your band page, you can also use this feature to send folks to your iTunes store, YouTube channel, or any other relevant outlet. Just as it says, right? Facebook recently updated this feature to make it even more prominent on fans' news feeds. In the past, you'd just boost a Facebook post, but now you can put an ad behind a video. This is great for an official music video, teaser, or even a video clip promoting a show or release. Maybe you do have an app you want to promote, or a coupon code for your merch. I'm a huge proponent of out-of-the-box thinking. So check the other options out, too! The setup is going to be the same for all of these, so the sky is the limit. This is the entire setup process, and the best thing is, no matter what your objective is (website push, event promotion, or simple "like" campaign), the setup is always the same. So, once you've chosen your objective, now you get to do all the fun stuff. Here's where you choose the location, age, and interests of the people your ad will reach. It's imperative for you to be pretty specific with this to get the most value from your ad spend. You have to go custom with this! If you're promoting an event in Los Angeles, you should only target the Los Angeles area, rather than the entire United States. Though, on the flip side, if your objective is to promote your page and build likes, you might want your ad to reach people all across the United States, or whatever country in which you're based. Basically, just make sure you're using location targeting in a smart way. If you're on tour, promote your ads towards the cities you're hitting. If you have a release that warrants national play, promote it nationally. If you have a radio play in certain cities, promote ads in those cities. Be smart, not spammy. Gender, most of the time, isn't important to your work. Both guys and gals can dig your music. Who really needs gender roles when it comes to the enjoyment of good tunes? You hear that, people? Just listen to what you like. In other words, go ahead and click "both." When it comes to age, though, that's a bit more important. While a 60-year-old somewhere out there may bump your hardest rap mixtape, the 18-to-35 range is probably more suitable. Be smart with this, and don't underestimate the higher ages. It's better to shoot higher than go too low. Thirteen to 15 might not be good for your death metal album. Again though, age can be unpredictable, but it's good to narrow these ads down wherever you can. This is the meat and potatoes of your advertising. Here's where you choose who sees your ad based on what they've indicated they're interested in. This is key! If you don't fill this out, your ad is going to be way too broad and ineffective. Here I recommend doing interests based on genre, similar artists, and then keywords such as live music, album collecting, music production, and any others you can think of. This is what your potential fans like! So be creative! Most people shy away from Facebook ads because they're unaware of how affordable they can be. In reality, you can run a solid campaign for just $5 to $25 a day for a week. The reach of your ads will depend on how much you drilled down your audience through interests and age, but let's say you chose ages 18 to 35 in the entire US who are interested in indie rock, live music, Young the Giant, the Kooks, Modest Mouse, and the Maine. 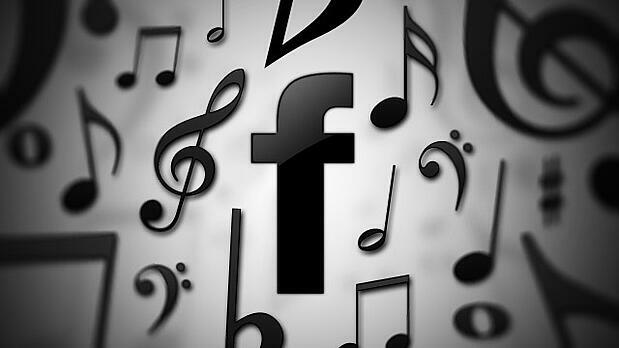 Your numbers will vary slightly depending on your "sound-alikes," since, let's say, more people may "like" the Beatles on Facebook rather than the Maine, so your reach may be a bit greater. But for sake of this example, we're going with the above interests. Of course, if your budget allows, you can go higher than $25 a day, too. If you want a graphic element to your ad, there's also a place to do that during the walk-through portion. Generally, you can choose between your band's cover photo or other graphics, but if you're promoting an event or special release, then, for sure, create a custom graphic! Similarly, you're going to want to put ad text that catches the reader's attention. For instance, if you have a release that you want to push, promote it! If you have a feature (such as a SXSW showcase or headlining show), put that in the ad! Your sample text could be something like, "Click 'like' to find out why John and the Jam Band earned a spot in an official SXSW showcase!" Have fun and be creative! Two other important things you need to be aware of are the "boost" feature and the 20 percent rule. The boost feature is where you can put money into a one-time push to help get traction. When you post something, simply go to the "boost post" button, and there you will be able to put money behind that post to get some extra reach. Boosting offers fewer targeting options than going the ad route, but it can be a nice, quick way to make sure more people see your post at the top of their news feeds. The 20 percent rule is an important rule for ads. Facebook states that your ad cannot be more than 20 percent text, so you need to be aware of any graphical elements you include with your ads. Learn more about how the 20 percent rule works here, and make use of Facebook's grid tool to determine what percentage of your image contains text so that your ad doesn't get rejected. Check out the second part of this Facebook advertising guide on when to boost versus running an ad.